This page allows instructors to preview and read brief descriptions of the multimedia included in an Instruct: Information Literacy subscription. The links below are placeholders only. You will need to add your proxied links from the Link Constructor to the links below to allow instructors to watch the videos. For instructions on obtaining links to the multimedia, please visit our Help Site: Link Constructor article. Below you can find links to preview and descriptions of the videos, tutorials, and quizzes that are part of your library's Instruct: Information Literacy subscription. Browse the materials below and contact your library if you would like to utilize some of videos, tutorials, or quizzes in your class. 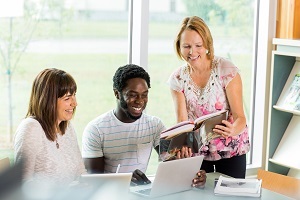 Your library staff can provide links that can be embedded in your Learning Management System.